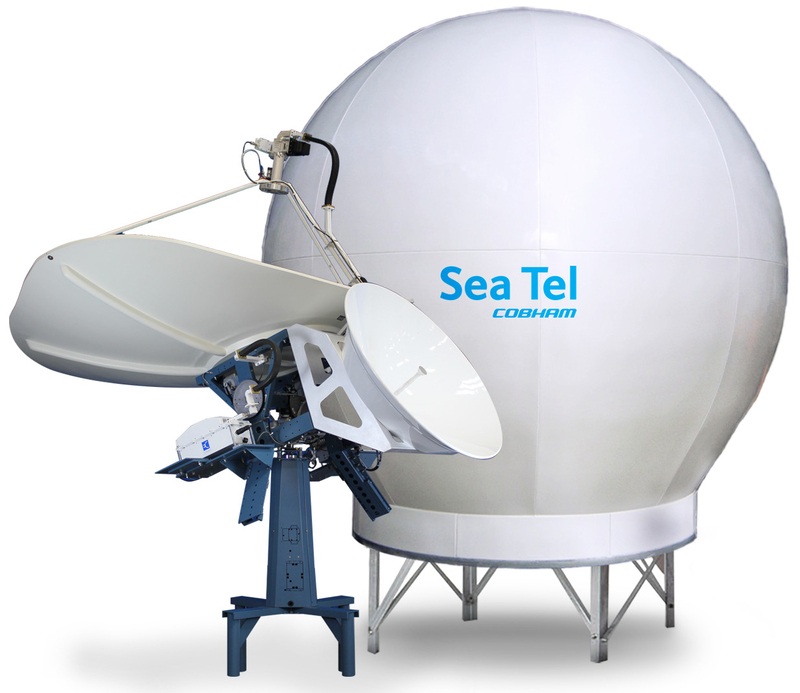 The Sea Tel 9711 system with 2.4m radical offset reflector is Cobhams most efficient C-band or Ku-band marine stabilized antenna system and is available in 144" or 168" radome. The C-band configuration of the 9711 antenna system operates on C-band A Pol, C-band B Pol or C-band linear all controlled from the DAC 2202. This eliminates the need for a technician to climb into the radome and manually change the feed. The switch over from one polarization to another can be accomplished in less than one minute. 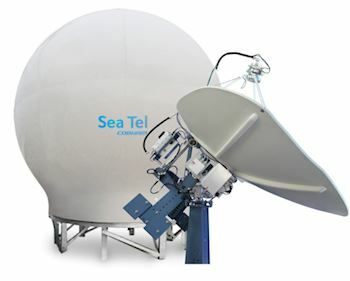 The Sea Tel 9711 Ku-band system works with co polarized (co pol) or cross polarized (X pol) services which are also remotely selectable. The Sea Tel 9711 system is fully compatible with Automatic Beam Switching (ABS) technologies. By combining multiple option files in a single modem, the user can make near seamless transitions from C-band circular A Pol to B Pol to C-band linear or from Ku-band co pol to cross pol. The 9711 technology uses Generation 2 electronics in the pedestal control unit. This is the same reliable electronics used on XX09MK2 and XX10 series antenna systems, eliminating an external level cage, and combines the softwarecontrolled motor driver assembly for better diagnostics and improved troubleshooting capabilities on all 3 axes. Designed to meet Navy MIL-STD-901D Grade B shock standards and MIL-STD-461 EMI & RFI standards (including 200V/M). There are currently no products relating to this page.